Still Seeking Sanity: Happy Birthday, Grant and Ben! Today, my darling twins turn three. 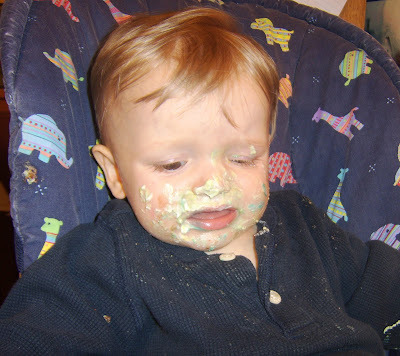 Last year, I did another Happy Birthday post, where I recounted their birth story. If you are interested, you can find that post HERE. I am amazed at the changes in the last year. Looking back on last year's post, they look so little! 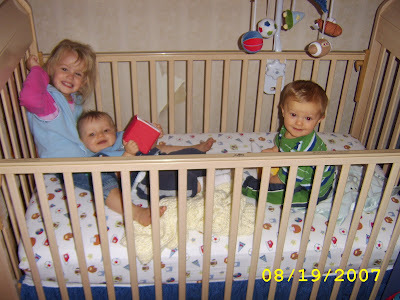 Now, my three year olds are little boys, every last bit of baby-ness has faded away. Where has the time gone? I have to admit, the first year of their life was a bit of a blur. I was exhausted, I was drained, but I really did take moments to appreciate them. These moments stand out in my mind, the tender times we snuggled, the fun and laughter, playing and bathing. I know it was extremely difficult, but the really bad parts have left my memory. That's what happens over time, I guess, and I am grateful to be left with the moments that I took a mental picture. They have always been so very different from each other, but have had definite similarities. 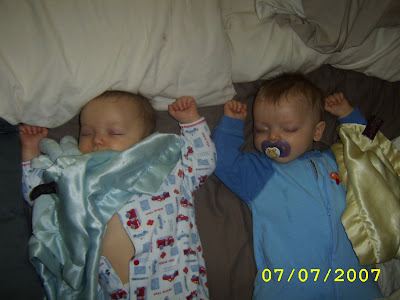 A lot of the time as infants, if one was sleeping in an unusual position, the other was the same way. They still do that occasionally now, but not nearly as often. Their first birthday was crazy. We had a full house and they got a bit overwhelmed toward the end. But they were sure cute! 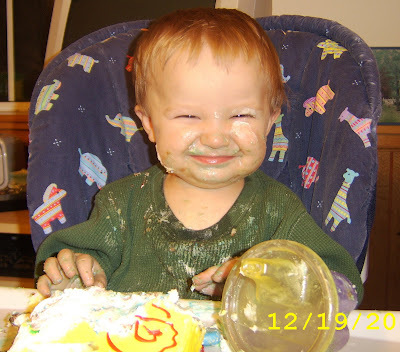 Grant loved his cake, I had forgotten how big his cheeks were! Ben wasn't sure. I think this was the only time in his entire life he has turned down food. The boys are best friends and love each other deeply. Yes, they fight, as all brothers do, but when they hug to say sorry it always ends with then falling over each other in a fit of giggles. Grant has been talking a lot lately about being "big" he really thinks that he will wake up on his birthday morning and be "growed up". So last night I asked them what they wanted to be when they grew up. Ben wants to be a firefighter. Grant wants to ride the school bus and go to Kindergarten. I love these boys! Happy birthday, Grant and Ben. I hope your day is everything you imagine it to be, and here's to a great year! Happy Birthday Grant and Ben! We look forward to your green and blue birthday! Happy Birthday boys! I hope you have a great weekend! Happy birthday, Grant and Ben! And congratulations to Mommy for having made it through the Terrible Twos with twin boys. Of course, you still have one more to go, but now you are experienced!